Wow so happy I bought this! It works exactly as I hoped for and better. Now all I have to do is find more time to hunt! A great tool! I love the PRO-POINTER AT. I sent in my card and put a message that I didn't get the sheath that comes with it and 2 days later I get a phone call from GARRETT, Mary said they apologize and are sending me the sheath ..!! wow ..!! thank you Mary and GARRETT, you are AWESOME ...!!! Great Addition to My MD Tools! I started metal detecting without a pinpointer, but soon realized that it would be a very handy addition to my tools. 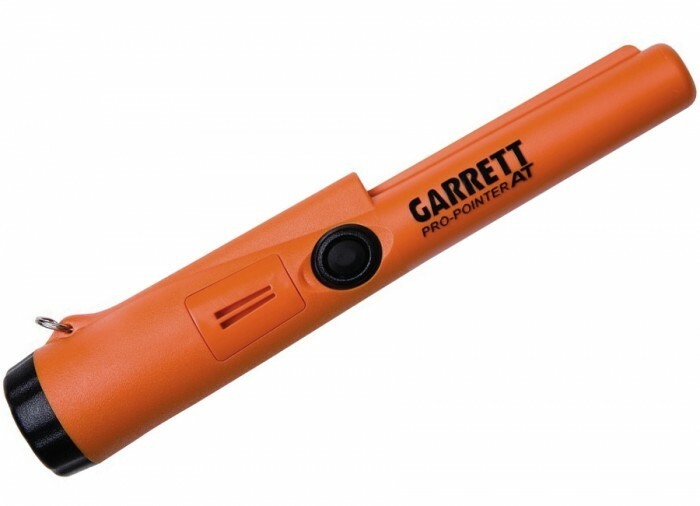 I don’t use the Garrett Pro-Pointer AT Pinpointer on every hole I dig, but it has proven to be very helpful when trying to locate small targets in loose sand. It has one button for everything – power, sensitivity, beeping, and quiet mode. 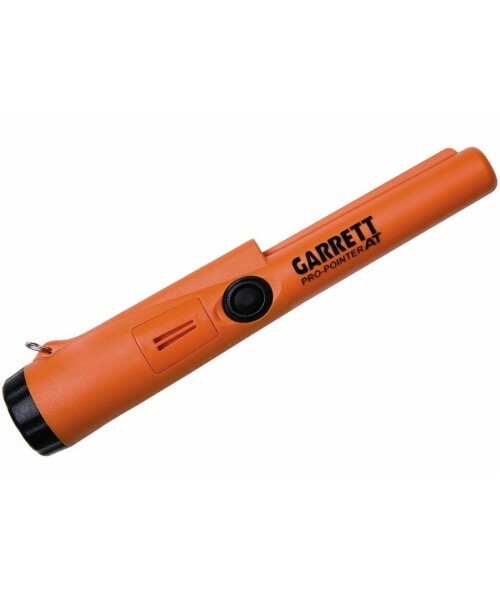 Well made (yep – I dropped it on the tile), easy to use, very accurate, and good battery life. I recommend a lanyard so you don’t set it down, and walk away from it – don’t ask how I know this. I have had a few different ones before getting the pro pointer. I have had it for some time now and it just works and takes the abuse. It has been very deep in the water, it has survived many drops and falls. I am pretty sure I have never had a pin pointer last this long for me without having to buy a replacement. The sensitivity is great and works on very small ques and tid bits. If you are on the fence about other units just do yourself a favor and get this one. Hit the beach with my wife when this came in. Our first time with the pin pointer. It was easy to use and helped us find our first beach treasure item quickly. Very accurate and my wife quickly fell in love with it. She had no issues using it, nor did I. Highly recommend. Thanks Garrett for making our trip worthwhile. I don't know how I ever got along without one of these pin pointers! 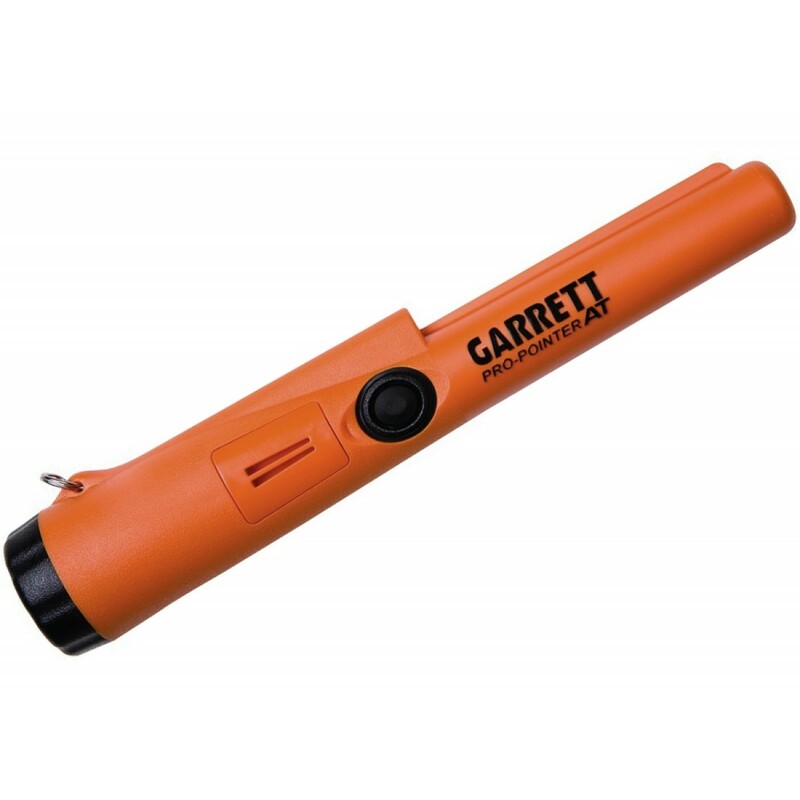 This tool is capable of pin pointing targets in the ground BEFORE digging! It's incredible, wish I had bought one sooner. Had to order a second one. My son was always needing mine as he is hooked on metal detecting also. It again arrived as promised and working great! Thank you for a great product and service! I got my pin pointer and started using it that day. Easy to use and very effective equipment. Thanks!